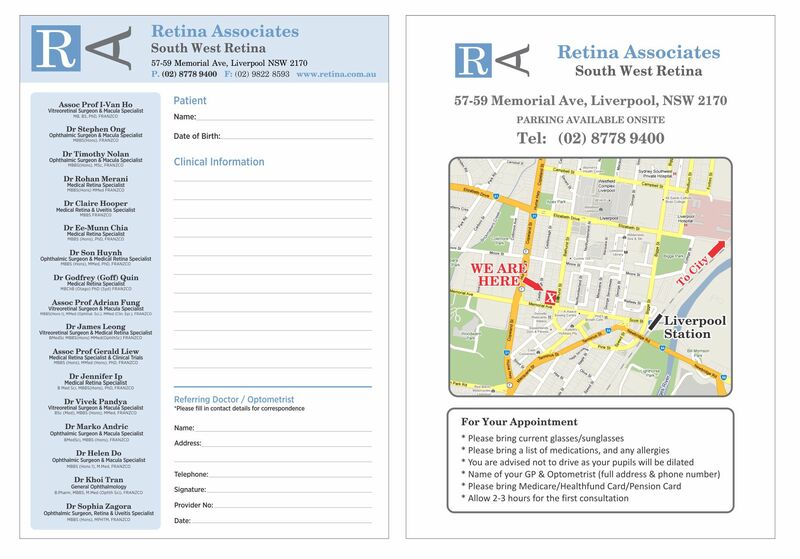 Retina Associates Referral Pads (please download files below). 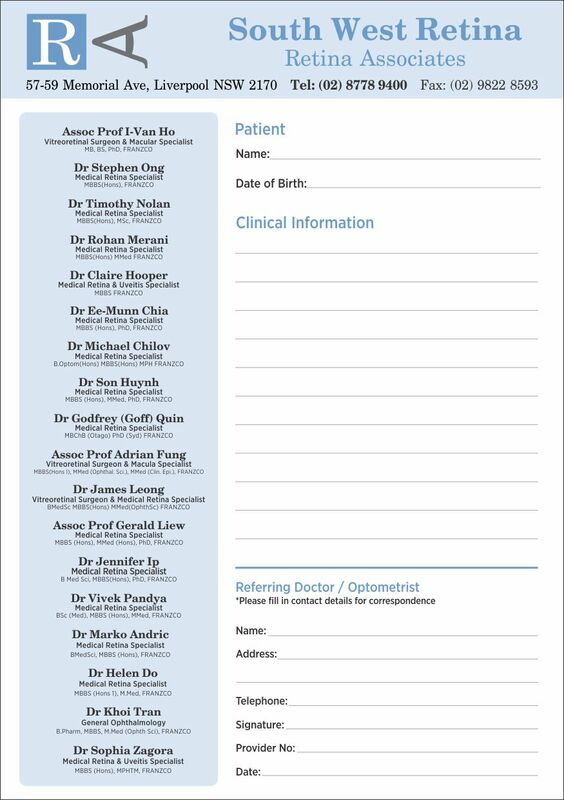 Our retinal specialists may practice in multiple offices. Our staff at Retina Associates will always direct you to the appropriate office for your referrals. If you have difficulty locating a doctor at one of our locations, please contact one of our other offices for assistance.